A recent Harvard/Berkeley study on the effectiveness of tax policy includes an impressive amount of detail on income mobility in the United States and provides valuable information that can be used by state and local leaders to support numerous policy decisions. What it does not do, and what its authors specifically caution against, is establish an absolute evaluative ranking of regional efficacy at eradicating poverty. Disappointingly, the coverage in the New York Times and other media sources draws conclusions about regional performance based upon either a narrow or flawed reading of the study. The study limited the definition of social mobility to only those individuals who have made the rare leap from the poorest quintile to the richest quintile. Within the study’s context of evaluating tax policy, this was wholly justified. Unfortunately, it appears that some in the news media failed to understand this nuance and misread this definition as an absolute measure of mobility. Furthermore, the article in the New York Times specifically calls out Atlanta, but in reality, the city is used as a stand-in for the entire Southeast. The study’s findings are clear that Atlanta is not unique in facing the challenges outlined in the article, but rather that the entire Southeastern region underperforms on the poorest-to-richest mobility metric relative to the rest of the country. Simply put, the New York Times article draws a negative conclusion about Atlanta that is not substantiated by a fuller reading of the study’s supporting data and does not accurately reflect the hard work done by many in the city for generations to foster opportunity across racial, ethnic and gender lines. Anyone with even a cursory knowledge of American history knows that the Southeast has long been challenged by entrenched intergenerational poverty largely as a legacy of our challenging past. One of the most difficult legacies of segregation is concentrated poverty that exacerbates the challenges of income disparity: higher crime rates, under performing schools, poor health outcomes and substandard housing options. We are also typically governed by more conservative state legislatures that are less likely to support public transportation funding and strong social safety net initiatives. Most Southern states also have less effective labor laws and as a result, organized labor is not as strong compared to most cities in the Northeast. 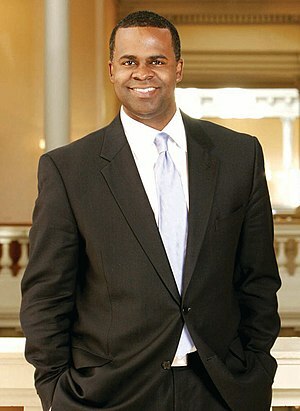 Read More The Truth About Income Mobility in Atlanta: Why the American Dream Is Alive in Our City | Kasim Reed. This entry was posted in News from the Soul Brother and tagged American dream, Atlanta, Kasim Reed, poverty, Social mobility, Southeast, United States. Bookmark the permalink.